There has been in the second half of the 20th century a successful effort to wake up the sleeping Canadiens in the Great Lakes and the Upper Mississippi. Such an endeavor always needs leaders. This is a brief recollection of three of them who surfaced during this time period in three different strategic locations. It was the year 1958. We, the Mikesells, were brand new citizens of the State of Illinois. I knew that I was in a former territory of New France but, I asked, “where are les habitants?” The answer: they were invisible or mute. From that place and time I started a long voyage of discovery that would take me a quarter of a century later, in 1983, to Mackinac Island in the State of Michigan. I began by reading newspapers, many newspapers, old ones (in libraries) and new ones from around the Midwest. After some years I had a “eureka” moment. I discovered two activists, each one in his own state: Ralph Naveaux of Monroe, Michigan, whose name I found in 1974 in a French language newspaper published in Massachusetts and, soon afterwards, Virgil Benoit, from Red Lake Falls, Minnesota through a feature article on his work in the Chicago Tribune. We all made each other’s acquaintance and began to correspond. Then, in the late 70’s, it was decided that we in the Midwest would sponsor a gathering of French Canadians. This meeting came to pass in August 1983 on the historic island of Mackinac and at Fort Michilimackinac on the mainland at the Straits of Mackinac, Michigan. see: ‘French in America’ calendar for more information on this multi-year project. Ralph Naveaux of Monroe, Michigan has long been involved with educating the public on French Canadian culture in the region. His first New World ancestor, Michel Jacques Neveu, dit Francoeur, born in Saint-Gervais Parish in Paris, France in 1718, was a soldier of the Compagnie Hertel de LaFresnière in New France/Canada. One of his grandsons Joseph Neveu, dit Francoeur, born in Montréal, was in the milice of the Michigan Territory at the start of the War of 1812. He settled in Rivière-au-raisin (today Monroe) where he married Marie-Louise Wauwauga Boismier in 1810. First as a French teacher and later as Director of the Monroe County Historical Museum, Ralph Naveaux has long been engaged in affirming the French Canadian history of his town, his state, and beyond. He is well-known for his role in living history and his leadership of reenactments of Francophone militia units from the time of New France and later. His deep knowledge of the history of the region is a valuable resource for the entire state. The Red River and the Prairies, territory that includes Indian reservations and a métis population, is where my ancestors from my father’s side settled around the mid 1880s — it was the end of a second long journey in America for them. During the Acadian forced exodus of 1755, they first escaped from Boston where they had been placed under custody of a local family, after being separated from their children, and the family relocated at Saint-Ours, Quebec in the early 1760s. Three generations later, grandpa Aimé Benoit left Quebec for New England where he spent a few years before coming to Minnesota with his parents where they settled in Louisville Township, in Polk County. Grandpa married Elizabeth Dandeneau, a union from which my father Maurice was born. My father in turn married Georgianne Lefaivre whose parents left the Montreal area for New England, later coming to Minnesota. The community where my grandparents settled, in northwestern Minnesota was, to a certain degree, made up of old French-Canadian stock originally from Red River (current Winnipeg). 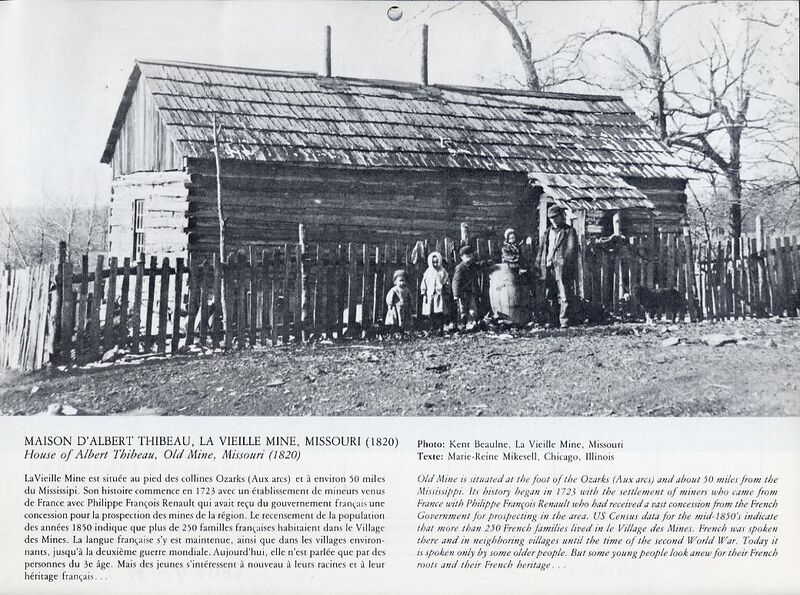 Many of the families were Metis who were guided to the new community of Red Lake Falls, Minnesota in 1876 by the metis expedition guide Pierre Bottineau who had earlier guided many of them from Red River to the Saint Paul area in the 1830s. These families founded, along with others who came later, Red Lake Falls, Terrebonne, Gentilly, Huot and contributed in large numbers to neighboring communities. They were farmers and merchants who were joined by clergy and medical doctors. Other communities were founded by French Canadians in North Dakota such as Wild Rice near Fargo, Oakwood, Olga and Rolette. The French Canadians were not lonely here. They visited their relatives in the various communities. They intermarried and socialized through many organizations. It was from these rural French Canadians that I learned my first French language and from the religious nuns I learned to jig. Later, I learned a ‘second’ French language as I prepared to teach. I continuously study the French language through the texts I read, but I have never forgotten the personal meanings of the words and expressions of my ‘home’ French. I have always been engaged in knowing and living the history of my ancestors. As a teacher of the French language I have highlighted our French Canadian history and culture. I have written short stories based on being French Canadian in the Middle West. I have also written chapters for books published in Quebec. I loved to read those French-Canadian names.